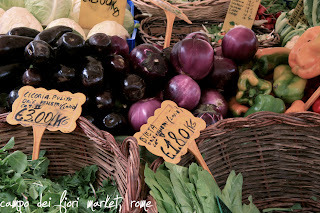 Rome's Campo dei Fiori (which translates to field of flowers) is a noisy and vibrant flower and vegetable market dating back to the 1800’s. 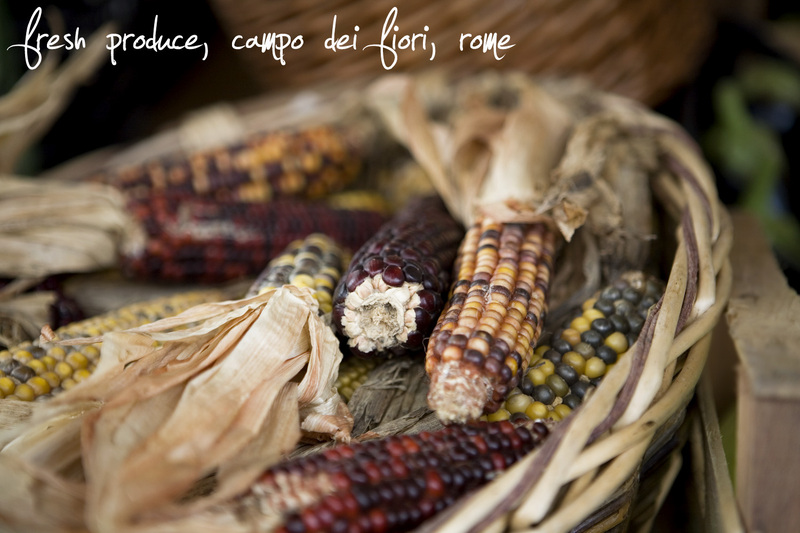 For the photographer, it's the perfect spot for capturing the beautiful fresh produce Italy is renowned for. Insider's tip: for the best pizza by the weight, go to Forno Campo dei Fiori - it's right on the square, and it's delicious. 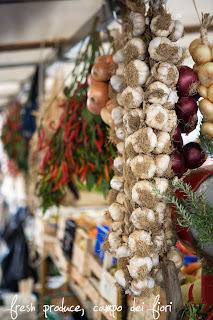 When shooting in a market, understanding depth of field can be very useful. Depth of field is in simple terms how much of a scene is in focus. 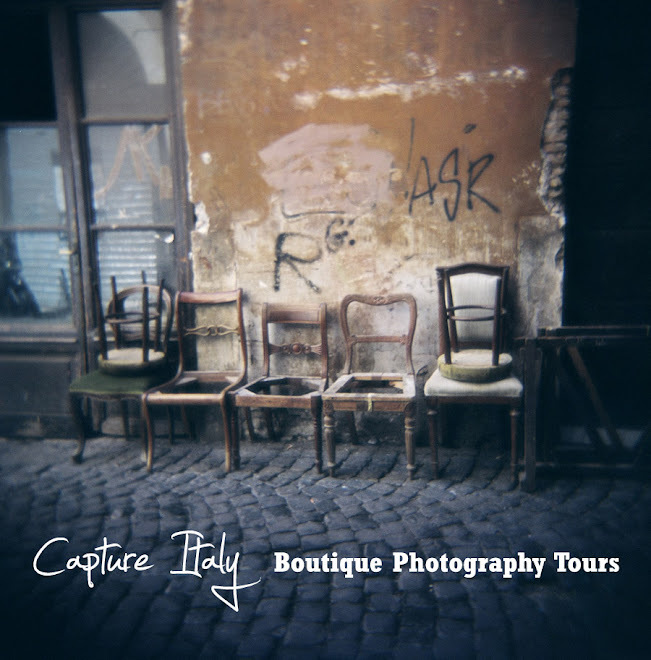 Shooting in aperture priority mode makes it easy to control depth of field. The smaller the number, eg f2.8, the wider the aperture and the less depth of field there is in the shot. 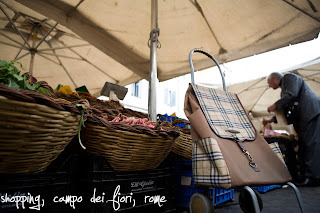 Which means that the main subject can be sharp, and the background (in our case the busy market) can be blurred. This is also a fairly standard setting for portraits where we normally want our subject in focus but the surroundings blurred so as to not be distracting. This image below has a reasonably shallow depth of field. The garlic is in focus, and the produce behind is blurred. If you are using a compact point-and-shoot camera it can be hard to control aperture/depth of field. Most automatic cameras try to get everything in sharp focus. To get around this you have some options - first, try to get as much distance between your subject and the background; second, try settings on your camera such as portrait or macro; third, zoom in on your subject. 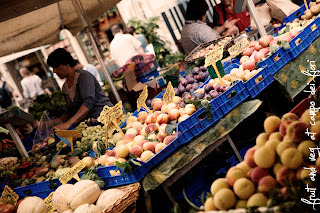 Don't forget to shoot some scenes of the market itself to give some context to your produce shots. Also, try getting a shot with prices (make sure you always get shots with the local currency in the local language for authenticity). Levels layer to increase contrast.